Bathrooms are full of hard objects. Add in water, and you could be in a dangerous room with slippery floors. However, there are ways to make your bathroom safer for all ages by choosing a universal design. Universal design makes a small space, like the bathroom, accessible and functional for people regardless of age, size, ability or disability. Here are 4 options for universal design in the bathroom that we highly recommend! Freestanding Toilets: This option allows the homeowner to have the height of the toilet elevated higher than a standard toilet which makes it more accessible. It also makes cleaning easier to do. Wall Hung Sinks: This option also allows to have the sink secured to the wall at any height. This makes it easily accessible for wheelchairs since a cabinet won’t limit access at your knees. Grab Bars: We highly recommend grab bars because they can be used in many spaces throughout the bathroom and increase safety exponentially. They can be by the sink, shower, tub and even by the toilet. 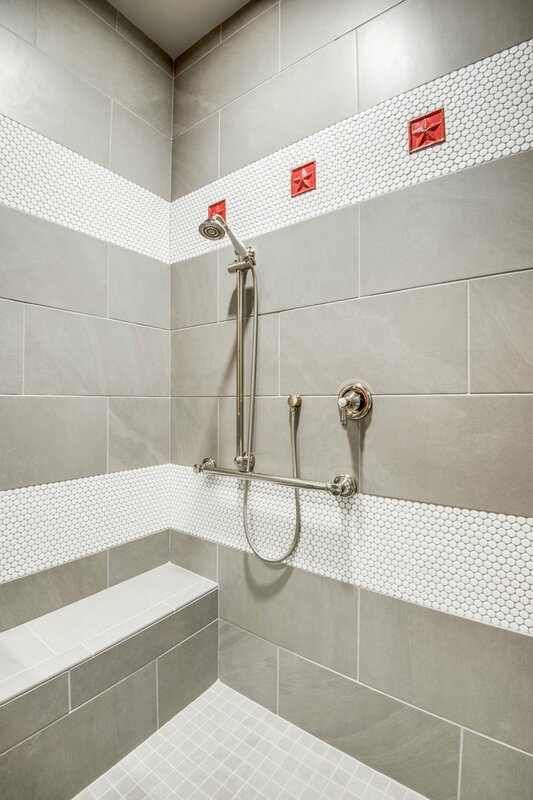 Large Shower: In addition to hand bars, we recommend that the shower be large enough to fit two people. That way if anyone ever needs assistance, due to injury or age, someone can easily help without getting water everywhere. The recommendations given doesn’t have to make the result of your bathroom look like something out of a nursing home. If designed correctly, universal design looks luxurious. Keith is licensed in universal design and would be more than happy to go out on a visit to your home to see how we can update it to be safe and accessible for everyone in your family. Give us a call at 210-680-5626 to schedule your free consultation today!